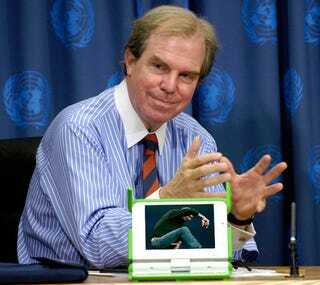 Talking at the University of Pennsylvania yesterday, One Laptop per Child's founder Nicholas Negroponte said that Steve Jobs helped in the development of the OLPC computer. Wait. What? I got an email from Steve Jobs (the night the laptop was revealed) he said you can't build it for a hundred dollars, and my answer was oh yes I can. He was actually a very good critic, and each time we got to a point, I did talk to him.